Life has a way of mending a broken heart in the most ironic of ways. 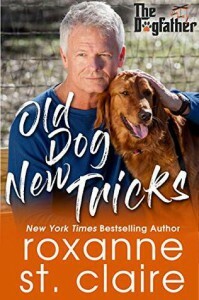 Old Dog New Tricks gives a second chance to two grieving hearts. Daniel and Katie had their chance to fall in love, but the timing wasn't quite right. When their paths cross years later, will their hearts be ready this time? Roxanne St. Claire has crafted a romance that's a timeless work of art. Emotions run deep in the Kilcannon family and It's a pleasure to be invited along for the ride.